Brrrr. Have you or your pooch been feeling the cold in these past few weeks? 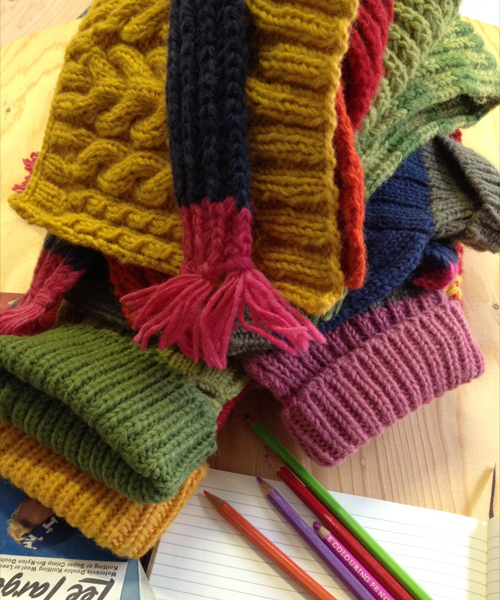 LoveMyDog has a range of dog jumpers and sweaters to keep your loved ones cosy (and matching scarves for owners). Dreams of playing fetch in the park on a warm summer’s day currently feels like a lifetime away but LMD Creative Director Lilly Shahravesh is already thinking way past summer! 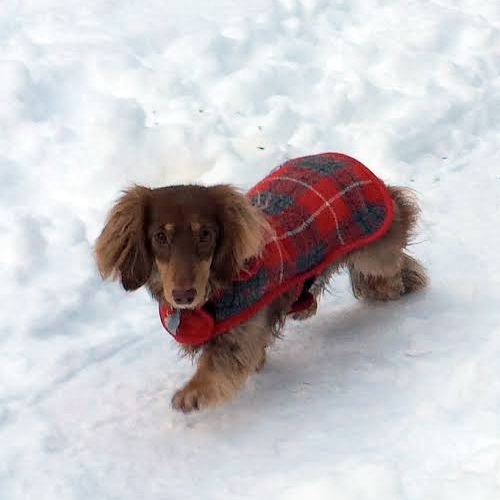 Lilly’s keeping her new designs top secret at the moment but keep your eyes on our Facebook, Twitter and Pinterest pages for sneak peeks of new designer canine couture items (including those warm dog jumpers) throughout the coming months. Lauren is from the luxury online designer fashion store my-wardrobe.com so obviously knows a hot look when she sees one. 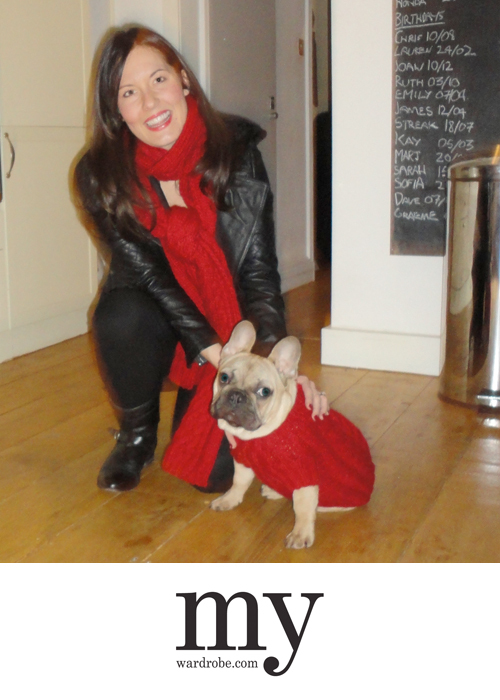 There is no chance that she and her fab French Bulldog Dougal will feel the cold at the moment thanks to the LoveMyDog Wilmot collection (the first to feature complementary items for human and pooch). Don’t they look gorgeous rocking their matching red cable knit scarf and sweater? If you’re looking for a warm sweater for a pretty pooch then LoveMyDog have plenty to choose from here. But if you need a jumper for someone with just two legs, you will certainly have more luck heading to my-wardrobe.com. This month we enjoyed a visit from Charlie. She’s a gorgeous Bichon Frise with bags of star quality. (Rabbit was really rather smitten). 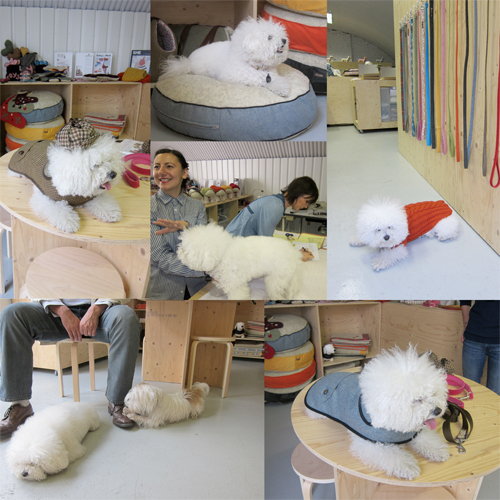 Her owners couldn’t decide between the Rivington (bottom right) or the Hartwist Collection (top left) so they left with both and a Wilmot Sweater as well.